Not Using QuickBooks Online? What You're Missing Out On - Article | Candace Ebert & Co.
What your total expenses for this quarter are? Whether or not your business is profitable as of today? How much you’ve sold every month this year? Using the provided setup tools to customize the site. 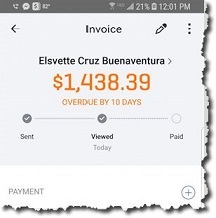 Connecting QuickBooks Online to your bank and credit card company websites so you can work with transactions. Creating records for your customers, vendors, and the products and services you sell (you’ll be able to add new ones as your business grows). Learning about QuickBooks Online’s pre-built reports. Familiarizing yourself with the site’s workflow. Making the transition from your current accounting system.